But done a little healthier, Thanks to the addition of zucchini noodles… and I LOVE it. Ramen noodles will forever be one of my favorite comfort foods of all time. I think a lot of people probably feel the same way, I mean, all those noodles are just the bestest. I’ve said this before, but I literally grew up on what we called, Oodles Of Noodles. Or well, I at least had a major ramen noodle phase during one of those brutal Ohio winters as a kid. I swear, mom and I had ramen soup at least two or three times a week. We loved it…until we grew up a little, and realized it probably wasn’t the best thing to be eating so often, and then our soup habit slowly died. In my quest to develop some quicker cooking recipes for back to school (aka back to the reality that summer is ending …major NOOOO!) while enduring the incredibly cold and dreary weather we’ve been having here lately, I somehow landed on my fall-back…noodles! I recently discovered that Whole Foods carries a ramen noodle, minus the seasoning packets. They even carry a gluten free ramen, millet and brown rice ramen. Lately I’ve been stockpiling them (for fear they will soon be out). You see, on a recent cold, rainy and almost snowy day, I finally decided that I wanted… no needed, buttered noodles. Like just something quick and simple, but yet so comforting. Somehow that turned into a garlic butter ramen noodle dish, complete with zucchini noodles, ginger, miso, soy sauce, basil and a soft-boiled egg. That’s literally everything I added in with these noodles, and you guys… they are honestly SOO GOOD. I dunno why, but it seems like noodles always end up being my favorite. There’s nothing complicated about them, the flavors are simple, yet still interesting (meaning not totally boring, but also not huge overwhelming amounts of flavor either). Plus this is a one pot kind of meal! Oh and it’s done in literally fifteen minutes, maybe less. I’m not completely sure, I sort of forgot to keep track of the time…all I could think about was eating the warm, buttery noodles. Duh. Also, I feel like you all should know that this dish is VERY kid friendly as well. 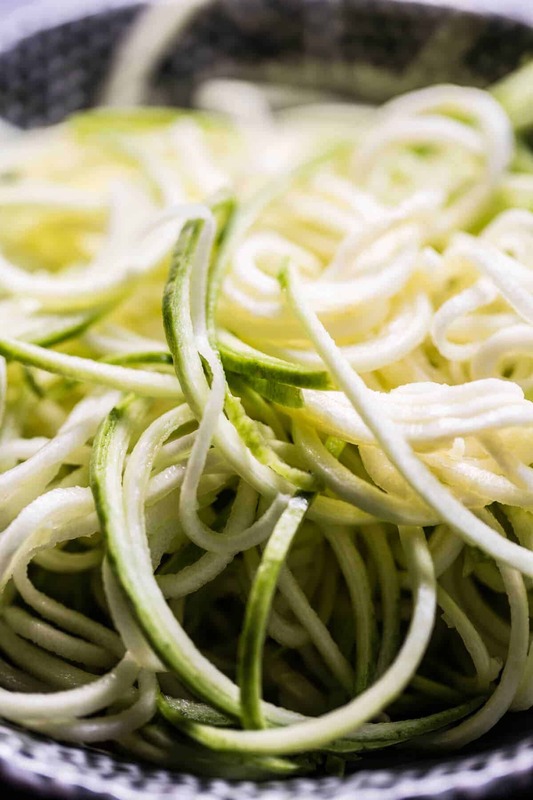 Asher, who just celebrated her eighth birthday yesterday, LOVES these noodles…ok, well minus any of the green zucchini that she managed to pick out! I fed these to her while she was over helping me bake cookies for her class. She declared the noodles the best ever! Of course, she loves anything carby, buttery and salty, so I felt like it was a pretty safe bet that she was going to like them. Double also, can we talk about birthdays for a second? Maybe it’s just because Asher is the last child, but I swear, her birthday has been going on for the last month, and I don’t see the birthday talk stopping until at least the end of the week, maybe even Monday! I don’t know about you guys, but my birthday was a one day thing. You wake up, it’s your birthday, everyone says “Happy Birthday”, mom throws a family party (depending on the age…these faded as we got into our teen years), you eat cake, open a few presents, call it a day. Then you wake up the next day and all goes back to normal. Yeah, well, that’s totally not the case for Asher. Legit, we have been talking and planning this birthday for what seems likes months. Asher is having a Harry Potter themed party (obviously), pasta, butterbeer, two cakes and probably like three wardrobe changes. Plus, all of the other items/crafts/activities my mom has planned. YIKES. Can you say mini Beyonce or what?? Question: do you guys make a big deal out of birthdays too? I personally hate my birthday… with a passion. But that’s just because one, I don’t like getting older, and two, I don’t like having all the attention on me, it makes me so uncomfortable! Question 2: if you are a birthday person, I’m so curious, what is your favorite birthday dinner and dessert?!?! You guys should all probably make them, and ASAP! 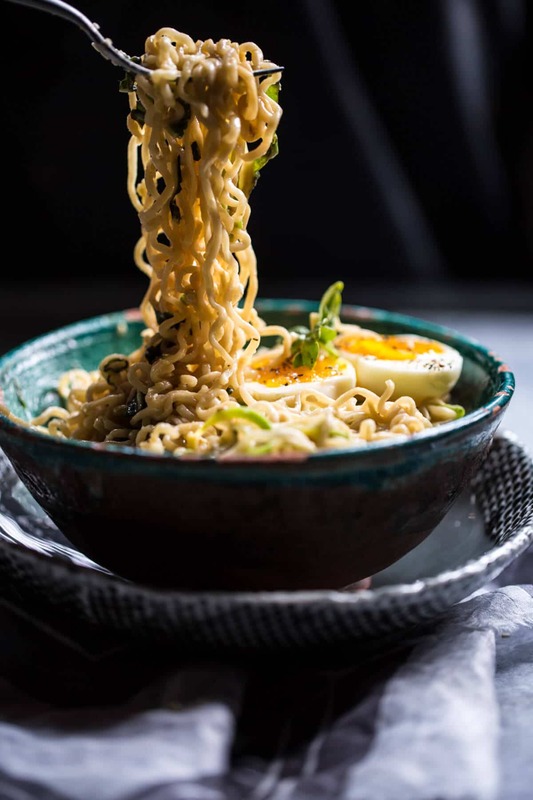 Cause I mean, what’s not to love about a bowl full of buttery, garlicy ramen noodles. Not gonna lie, this is totally "college student" food. But healthier and tastier. Bring a large pot of salted water to a boil. 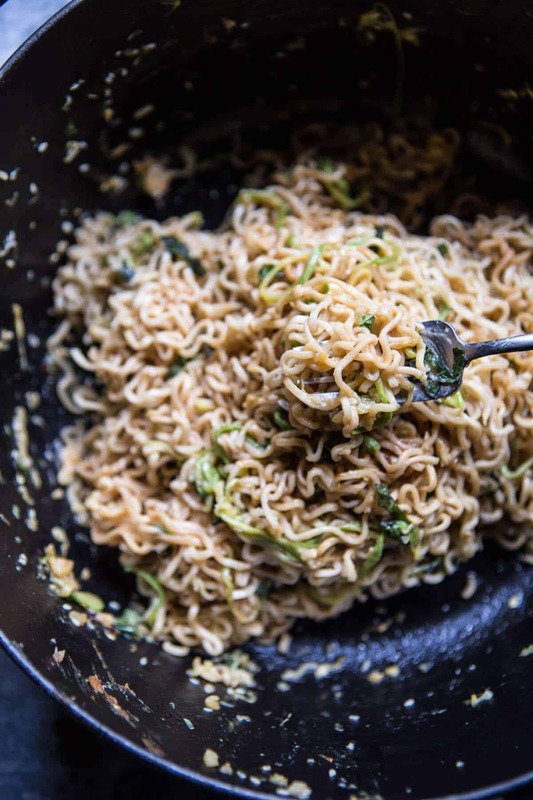 Boil only the ramen noodles (no seasoning packet) for 2-3 minutes or until the noodles are al dente. Drain. Meanwhile heat a large skillet over medium heat. Add the butter and garlic and cook for 3-5 minutes, stirring often to ensure the garlic is not burning. You want to slowly caramelize the garlic in the butter. Add the ginger and miso paste and cook another minute. Add the zucchini and cook 2-3 minutes. Toss in the cooked ramen noodles and remove from the heat. Add the soy sauce and basil. Toss to combine. 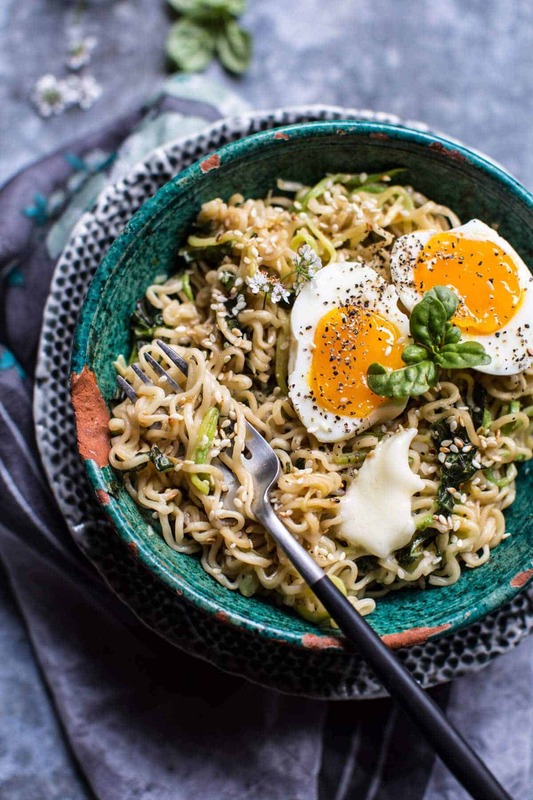 Divide the noodles among bowls and top with soft eggs and sesame seeds. Sprinkle with basil and cilantro (or cilantro flowers). EAT! Never enough noodles. Noodle me please! Crockpot Crispy Caramelized Pork Ramen Noodle Soup w/Curry Roasted Acorn Squash. These looks so delish, Tieghan! Well as I’ve mentioned before that rice is a staple in the Philippines? Well, noodles comes second especially during birthdays because it’s supposed to mean longer life for the celebrant, you know because of the long noodles? Yeah! In fact, I keep a couple of different kinds always in my pantry. Oh and happy bday to Asher! ? Hey Sheila!! I think it is so fun that noodles are a birthday dish! I mean, YUM!! Thanks so much for sharing your story!! I will be sure to tell Asher you said Happy Birthday! Thank you! You should make him it!! So cute that he would like this!! 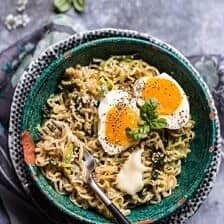 I wish I had this recipe back when I was a student, I lived off of Ramen noodles and the seasoning pack flavours became dull very quickly! I love birthdays, even my own (despite the getting older bit) but I like them quiet, just a few people to enjoy good food and wine with. And it has to be chocolate cake. 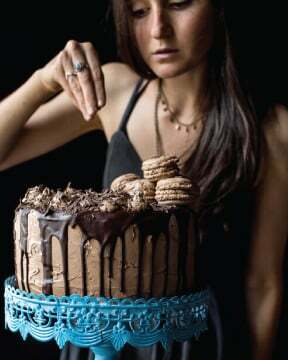 I don’t care what kind of cake, it just has to be full of chocolate! Ah, yes this would have been perfect! Sounds like we like similar birthdays! Absolutely has to be chocolate! Salmon fillet!!? That would be amazing!! I’m so down with this! Yay for quick and easy back-to-school food! Thanks a million for the continued inspirations Girl! To answer questions 1 and 2; You took the words right out of my mouth for number 1, I don’t like my own birthday. I do love going crazy to celebrate someone else’s though. Number 2; Vanilla frosted chocolate cake will forever be my fave b-day dessert and for dinner I’d go for General tso chicken or fettuccine alfredo! Haha, so funny we would celebrate the same way! AHH so into the fettuccine!! I usually go all chocolate but vanilla frosting could do!? 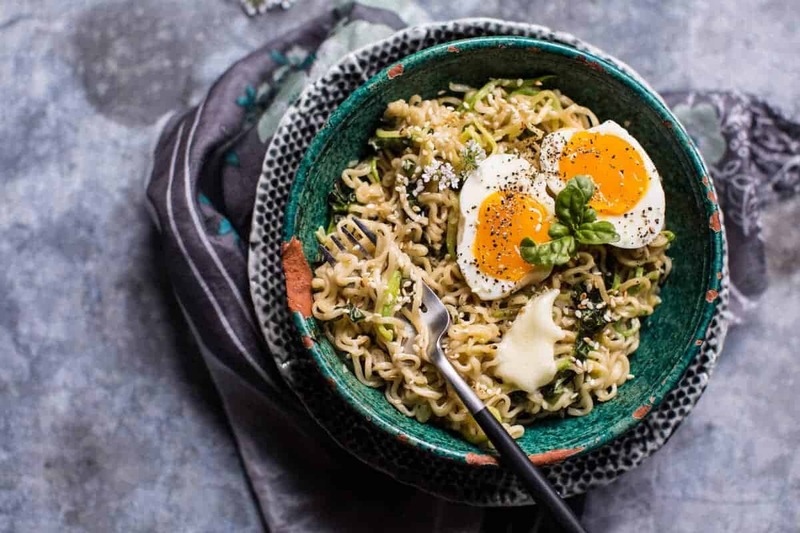 I use ramen packs with the seasoning thrown away in my comfort, student style cooking too – so cheap and such a throwback! Ah, yess they work great and it is a total throw back… not really for me, haha but I know thats college food! That’s what soft boiled eggs usually look like. Sorry you don’t like the look, this is what soft boiled eggs look like. I do like to go out to eat on my birthday. I guess my favorite dessert would be a fresh coconut cake. The kind with 7 minute frosting. Yum!!! COCONUT CAKE!! YES, I love that!! So delish!! Really, favorite birthday dinner? Sorta hard to choose because one thing in life that should be varied is flavor and texture. But a favorite meal is my mother’s Split Pea Soup–where the peas are cooked down to the consistency of potato soup. Chunks of yukon gold potatoes, carrots, and kielbasa are nummy nuggets in the flavorful soup. Of course, crusty bread with butter on the side. That sounds so so good!! Topping it off with dipping bread? That sounds so fun but so time consuming!! Got to avoid pizza five days in a row!! 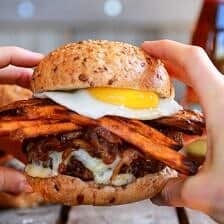 You can try a bunch if my quick easy recipes!! Hopefully they will be easy with all that moving! You played with a grizzly!!?? That is so cool!! Im jealous!! These noodles look so good! Perfect healthy-ish comfort food for when you just wanna eat but can’t be bothered to cook! I’m not especially fussed with birthdays – it’s just another day of the year after all! But I do like to make an awesome meal. The best would be something Mexican – some kind of tacos and then churros for dessert! (And huevos rancheros for breakfast of course). I’m all about the meal!! Mexican!! Such a good choice!! I soo need this in my life. I love ramen in all form whether it’s the instant kind or the authentic Japanese kind. It’s like a comfort food. So this is so totally my type of food. Plus it’s 15 minutes and it’s garlic butter. How can I possibly pass this up? And I think the youngest always gets special treatment. Birthday talk/celebration seem to last for weeks! It’s SO comfort food, the best kind! A question please. 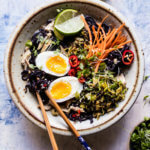 I do not have white miso but I do have light miso – can I substitute? Thanks Tieghan! Hey Carol!! I have never used light miso, but I am sure that will be just fine. Let me know if you have questions. Thanks!! hahaha whhhaatt? this is pretty amazing. I’m going to have to try this! I’m sure the zucchini noodles add a nice bite! Whole foods should have them!! Going out is always A good option!! If I am ever there I will!! Thank you!! I LOVE my birthday and my most favorite so far was turning 40 (3 years ago) – I celebrated for 4 days!! My favorite birthday dinner as a kid was spaghetti with Prego sauce because my mom always made her own homemade sauce and Prego was reserved as pizza sauce. I now appreciate the richness of homemade sauce but still like Prego as a treat now and then. That sounds amazing!! 4 days!! Spaghetti is so good, I make so many dishes I rarely get just simple pasta.. Yes, ramen is a college student’s staple! I’d add tons of vegetables, more tofu, no egg and LOTS of Sriracha. HAHAHA. 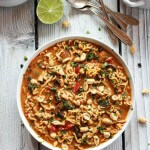 I am with you when it comes to noodles and pasta–love them. Buttery noodles are the ultimate easy comfort food, I’ll be making this for sure! 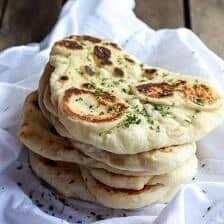 It sounds delicious and I love that you’ve made it a bit healthier while retaining all the garlicky buttery flavour. I am always looking for new suggestions to broaden what I cook each week; I’m going to give this a go. Hope you enjoy it! Thanks Charlie! Happy late birthday to Miss Asher!! As for my birthday, I love it! Even though I don’t like so much being the center of attention, I love having my family around and being able to hang out and do chill, fun things all day (or most of the day ?). We never had birthday parties, though, and we don’t live around our extended family (GIANT sad face for that…this year’s birthday is going to be extra special in at way, because my family’s taking a vacation to visit our relatives over my birthday, so I’m pretty pumped to be able to be surrounded by a bunch of my favorite peeps for the day! ), so our celebrations were just with our parents and sibs. We usually did similar to how you outlined your birthdays growing up: presents, birthday dinner, singing Happy Birthday, cake, yearly birthday pics, and sometimes a family movie picked by the birthday person. Hope Asher has/had a great time at her party! I totally agree with you! The family is the best part. The vacation sounds awesome!!! Thank you Hannah! Hope you loved it Todd! Our Costco carries the millet and brown rice ramen. You should check them out…so much cheaper than Whole Foods. This might be a dumb question, but what’s your method for soft boiled eggs? I’ve never tried it and if they’re much softer than hard-boiled, which are already hard to peel…what’s your method for peeling them without destroying? I love ramen noodles!! This recipe is so innovative and I love the addition of the zucchini! This looks absolutely divine. Those eggs have me salivating! Be honest… Was this inspired by Kylie Jenner’s snapchat saying she eats her ramen with garlic salt, butter and an egg? If so, yours looks about 500000000x better. This looks like the perfect hangover breakfast. I shall try very soon. Way to make something bland/boring look exciting and delicious! 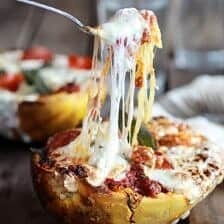 This looks totally yummy and would go down so well with my two boys. They love noodles. I am sure your boys will love this one!! Thanks so much Becky! really great will make again…. lots. This sounds AMAZING! SO glad this turned out great for you Karen! Thank you ? How important is the miso paste? 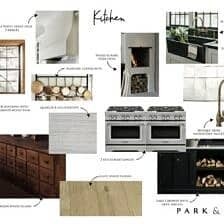 I have everything in my kitchen, except that. I work until later tonight so this sounds perfect! Hey Michelle! It does add flavors, but mostly it is salty. So just add a pinch of salt and you should be good! Let me know if you have questions and I hope you love this, thanks! 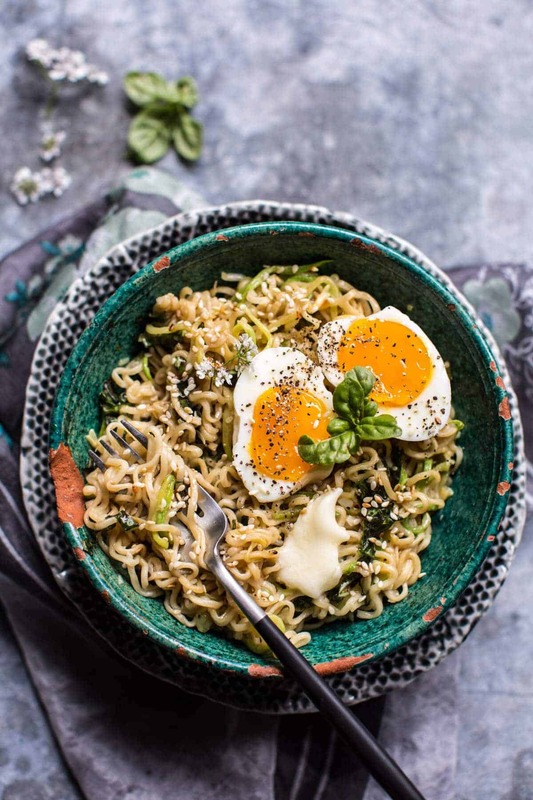 I followed the link here fully expecting to be disgusted at this bastardization of noodles as I know it, but this actually looks really good! 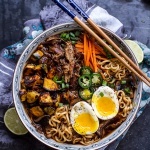 In fact, it reminds me of a classic Korean comfort food, from way back in the 70s when a lot of families were entering the middle class, but weren’t really well-off either and often had to stretch meager ingredients to make a meal: butter (well, margarine, in our case) and soy sauce mixed into hot rice! A lot of mothers added doenjang (Korean fermented bean paste similar to miso) to the mix as well, and I never heard of anyone adding garlic, but I’m sure no Korean would be objecting to extra alliums! Eggs were a luxury at the time, and if you had them in the 70s, you probably wouldn’t be adding them to such a simple and cheap dish, but today eggs are cheap and abundant and they taste like they belong in a dish like this, so it’s a common ingredient in the modern version of the dish. ps. I LOVE the sound of your version. YUM. Oh, which reminds me… toasted sesame seed oil (the kind you find at Asian groceries) was also a common ingredient! In fact this is what I recommended to my vegan friend as a sub when I shared the recipe with her. If someone is not opposed to eating dairy, but cannot due to health reasons, I might also recommend replacing the butter in the recipe with ghee… some (not all) people who are normally intolerant to butter and other dairy find ghee tolerable, because all the milk solids that usually are the cause of the trouble are rendered out of ghee, leaving behind only the milkfat. The love never went away! Hope you love it! I just made this tonight for my husband! It was so simple and so delicious!! I added a filet of salmon marinated in soy and sesame oil as well as snap peas and mushrooms in the noodles. Thank you for the amazing recipe! SO happy it was easy and good! Thanks for making it Carol! Made this last night after I saw it on your meals for this week. I needed something quick and delicious and had all ingredients. Loved it! Thank you for all of your delicious recipes (I have made many) and awesome blog. 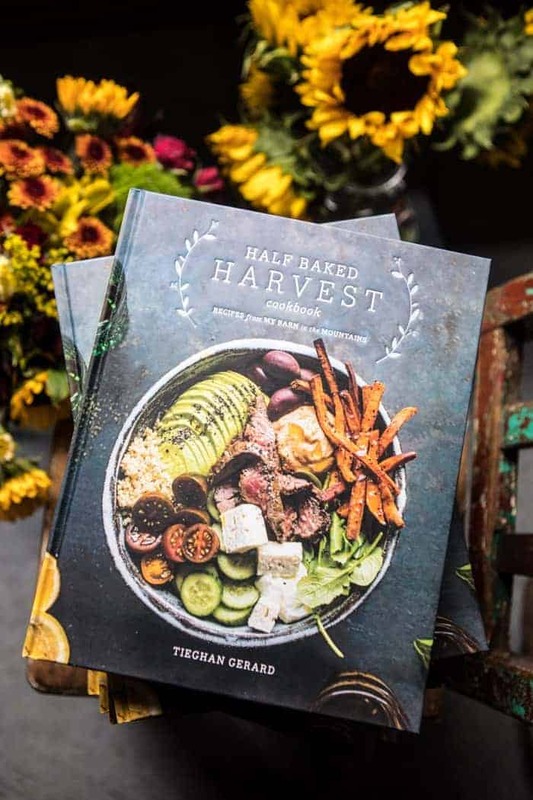 Congratulations on your upcoming cookbook and all of your success! So happy you made the ramen! Thanks so much Shelly! Made this last night and it was amazing. My four year old picked basil from our garden to add, and then gobbled the dish up just like we did. I made the eggs over medium bc I don’t know how to make them soft-boiled. I LOVE your recipes! That is amazing! Thank you Ashley! I love this so much! I’ve made it tons of times and regularly serve it for guests, to rave reviews! I have even made it with seared tuna steaks a few times instead of the eggs – both ways are amazing. Thank you so much! This looks great! 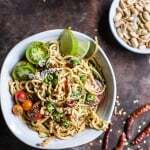 Would it be okay to use the spice ginger instead of fresh ginger? Um. Wow! 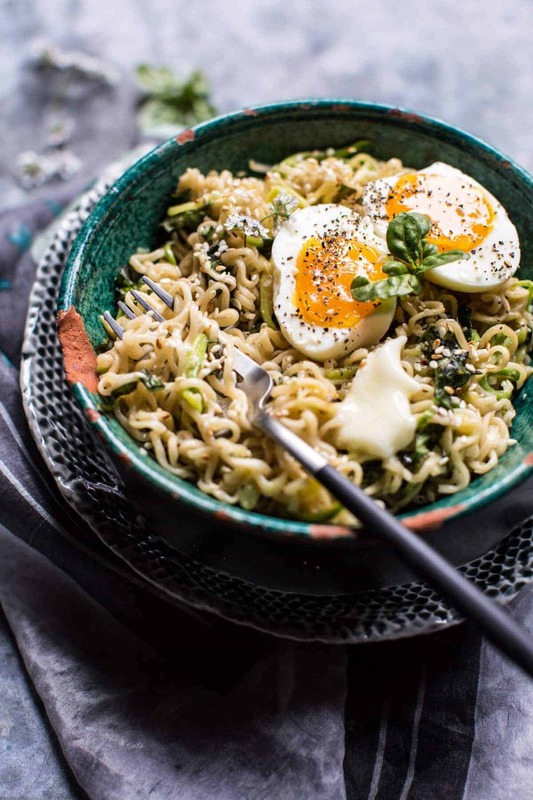 I just made this for lunch but didnt want to soft boil and peel an egg so I did crispy fried egg on top overeasy… and then that yolk drops into the noodles and oh my….I never want it to end. This is a great recipe! YUM! I am so glad you loved this Tennille! Thank you so much! Hi! I made these the other night and was such a fan. Thanks for the recipe! One question: how might one modify this recipe if I wanted a bit of a broth? It was simple and delicious. And your writing is so entertaining! Awesome post, thank you! P.S: I’m a New Year kid, my bday food always includes booze lol! Saludos desde Costa Rica! JUST GIVE US THE BLOODY RECIPE!! Hi Juliet! There is a “skip to recipe” button on the top of all of my recipes for this specific reason. If you do not want to read the post, you do not have to. Talking about my life and my day is something I enjoy sharing on my blog. I hope you understand. Enjoy the recipe! This was absolutely delicious but not enough to be a main serve. We added mushrooms and silverbeet and doubled the noodles. Nom.